It's not always easy to stay within the lines of appropriate and chic when it's beyond hot outside and all you want to wear is well, nothing! Getting ready during the summer is ten times faster, but takes a little more creativity. 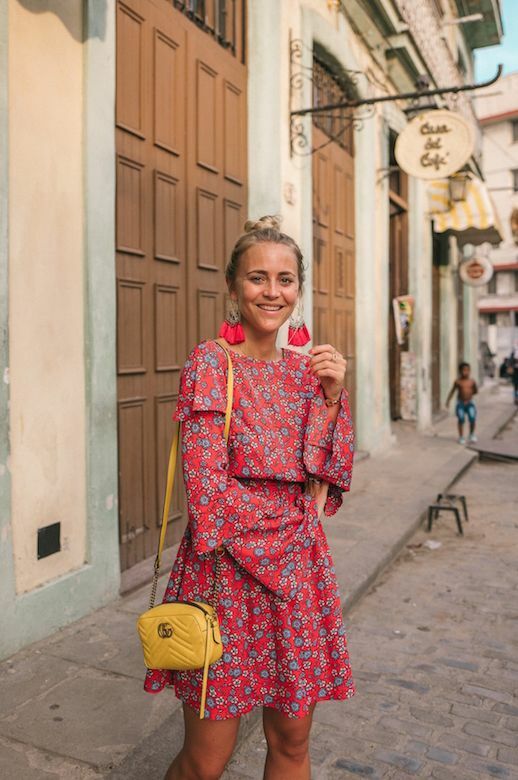 This blogger wore a showstopping red floral dress, mustard-colored crossbody bag, and flat sandals. See? Easy as cake.